Some companies spend a fortune coming up with enticing names for new products – and sometimes it goes disastrously wrong. A memorable example is the Chevy Nova, which in Spanish roughly translates to the Chevy doesn’t-go. Even if the name doesn’t mean something inappropriate, our research shows that gimmicky product names might not be as clever as their creators imagine. The study involved observing fifteen potential customers browsing through brochures to find a new smartphone. Techie jargon aside, what really threw them was the variety of dessert names in the product subtitle. We observed five problem areas. Novice users didn’t really understand that smart phones even had operating systems and explaining to them that Google uses dessert-themed names for different versions of their Android mobile operating systems just made it worse ( especially as they couldn’t find any explanation in the brochures). Explaining that names were in alphabetic sequence didn’t help much. Especially when it appears that A and B never appeared in public and Honeycomb was for tablets (and different from the phone systems). The “added value” of the cool name did not appear to impress our sample. Since operating systems get updated fairly regularly, it’s really quite easy to check that if you have version 5.x, version 6 is probably an update. It is a lot less obvious that Donut is an upgrade for Cupcake. No doubt Fro Yo (2010) is a pretty common abbreviation for Frozen Yoghurt in the place where Google people live but it doesn’t work internationally. This seems like cultural imperialism (in a very small but irritating way). As the sequence progresses, one suspects it becomes increasingly difficult to get the next name to be at all catchy and memorable (which presumably is one of the reasons for names in the first place). I guess we can look forward to “kiwi fruit cocktail’ to follow jelly bean or some such as California grows 98% of the US kiwi fruit crop. Maybe firms should reserve this creativity for the product itself…or am I just being boring? 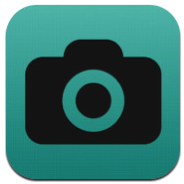 Foap is a mobile mobile stock photography agency, which allows users of its app to sell their iPhone images on the Foap Market. I’ve been asking the company about its business model and plans for the future. Right now, for example, you can buy a $25 Amex gift card for $15 by Tweeting #BuyAmexGiftCard25. Then you check your Twitter mentions until you receive one from @AmexSync containing a confirmation hashtag. Tweet this hashtag within 15 minutes to complete the purchase. They’ll now ship the item to your billing address free. It’s just my opinion, but Amex needs to look up the definition of “seamless”.